So said the UK Permanent Representative to the UN General Assembly at the debate on the role of the International, Impartial, Independent Mechanism to Assist in the Investigation and Prosecution of Persons Responsible for the Most Serious Crimes under International Law Committed in the Syrian Arab Republic since March 2011, on April 18, 2018, citing the very long title for a very dubious organ of the United Nations that gets its funding primarily from NATO countries and their allies. In her speech to the General Assembly the UK representative set out the real objective of this organ, to build propaganda against the Syrian government for crimes alleged by the US and its allies. The only Syrians referred to in her speech are what the western aggressors like to term the Syrian “civil society” and all their disparate NGO’s that are funded in one way or another by the very governments attacking Syria. The mandate of this new UN organ, founded by a UN General Assembly resolution on December 21, 2016, which organ they term “the Mechanism” is stated on its website to be to assist in the prosecution of those responsible for war crimes in Syria since 2011, to collect and share evidence, prepare files for prosecution in national or international tribunals and to bring about justice for the victims of war crimes. Yet nowhere on its website will you find any mention of the crimes committed by the very powers that organized the creation and funding of this Mechanism nor the crimes of the various forces attacking the Syrian government and civilians whether mercenaries or ISIS or their supporters. You will find nothing on American war crimes. 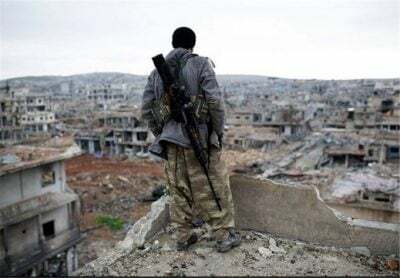 You will find nothing on the laying waste of an entire country to achieve western imperial and colonial ambitions, nothing on what they have done to the city of Raqqa. It appears from reading the resolutions and speeches of the founders of the mechanism that it was a reaction to their failed attempts to use the Security Council to refer alleged war crimes in Syria to the International Criminal Court. Syria is not a party to the Rome Treaty and so crimes committed there by whatever party are outside its jurisdiction. Some claim that the statute of the ICC allows the court to take on jurisdiction by means of a reference sent to it by the Security Council. In my opinion the Statute cannot be interpreted that way. The Security Council can only refer cases to the ICC over which it already has jurisdiction. But in any case Russia blocked resolutions by the US, UK and others to refer matters to the ICC because they contained references only to alleged Syrian government crimes and not the crimes of the referring parties. Russia recognized the game being played and would have none of it. Since the ICC gambit failed the governments hostile to Syria have created another gambit, the Mechanism, to achieve the same purpose. I was asked in a recent interview whether the US and its allies will ever face justice for their crimes. My reply, based on my experience with the ad hoc UN tribunals the ICTY and ICTR and the ICC itself, was that they will never because those organs provide those countries with complete immunity from prosecution and further, provide a cover and encouragement for their crimes. The prosecutors of the ad hoc tribunals and their “outreach” programmes, funded by George Soros, bragged that there was no impunity for war criminals, yet that is exactly what they gave to the main war criminals in those wars. They gave impunity to NATO for its crimes with respect to its attack on Yugoslavia and with regard to Rwanda, gave impunity to the present dictatorship in Rwanda and its US, Canadian, British, Belgian and Ugandan allies. The ICC does the same, targeting only Africans standing in the way of western economic and strategic interests. The rest of Africa’s criminals, the worst being Yoweri Museveni and Paul Kagame, are protected from prosecution as are all the criminals leading the NATO and allied countries and their military forces. The Mechanism carries on this protection racket of the wests war criminals by in essence acting as a propaganda tool to provide them with further pretexts for war. 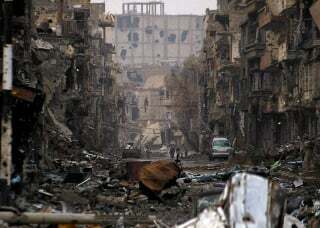 For if they were serious about making everyone accountable for war crimes in Syria surely they would be demanding that the United States of America, Britain and France be held accountable for the wanton destruction of a city; Raqqa. 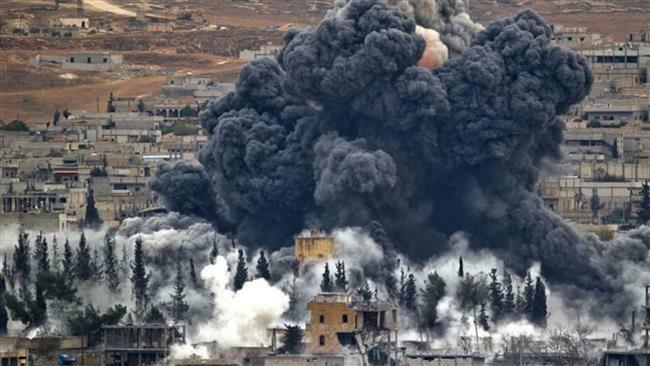 “The four-month military operation carried out by the US-led Coalition to oust the armed group calling itself Islamic State (IS) from the Syrian city of Raqqa, killed hundreds of civilians, injured many more and destroyed much of the city…. Eight months on, the Coalition remains in denial about the human tragedy resulting from its military campaign and the victims have received neither justice nor reparation. Amnesty International is urging Coalition members to promptly and impartially investigate allegations of international law violations and civilian casualties. They must provide reparation to the victims and adequate assistance for the desperately needed demining and reconstruction work. But it was not just air strikes that levelled the city to rubble and killed the people in it. AI states that the US Marines from the 11th and 24th Marine Expeditionary Units equipped with long range heavy artillery used M777 Mortars to “rain down 155mm artillery fire upon the city. The US military was the only Coalition partner with artillery capacity and was therefore responsible for all artillery fire into the city. …US marines launched tens of thousands of artillery shells into and around Raqqa.” And “The Coalition launched tens of thousands of airstrikes on Raqqa. American planes carried out ninety per cent of the strikes. The British and French did the rest. Tens of thousands of strikes and heavy artillery bombardments over a period of a four months, from July to October 2017, the use of white phosphorus, a banned weapon, thousands killed, a city destroyed and for what, no one seems to know, except there exists a ruthless contempt for the norms of civilized behaviour and international law in the governments and armed forces of the “coalition” of gangster states that are committing theses crimes. The fact that the situation in Raqqa could have bee resolved without all this death and destruction is lost in history. The offers by the Syrians, by the Russians to negotiate with the occupying ISIS forces, were all rejected out of hand by the invading US and proxy forces. The truth remains that war crimes were committed on a vast scale and there can be no doubt that the majority of them arose from the American adoption of Hitler’s Nazi war machine conception of ‘total war’, with which its aggressive wars are waged. We saw what they did in Dresden, Hiroshima, Nagasaki, in Korea, Vietnam, Yugoslavia, Afghanistan, Iraq, in Libya. In ‘total war’ the moral ideals underlying the conventions which seek to make war somehow more humane, such as the requirement of proportionality of means in light of objectives and the corresponding requirement that a distinction be made between combatants and civilians, with civilians to be protected at all costs, are no longer regarded as having force or validity. Everything is made subordinate to the overmastering dictates of war. Rules, regulations, assurances, and treaties all alike are of no importance whatsoever, and so, freed from the restraining influence of international law, their aggressive war is conducted with unbridled barbarism. Accordingly, war crimes are committed when and wherever they think them to be advantageous. The laws about protection of civilians in war and using proportional force are universally known. They are even contained in the US Army Military Law of War Manual which sets out the governing international law at length. They are the contained in Geneva Conventions, and the Statute of the International Criminal Court. Military necessity cannot override those laws. But there is something that overrides the laws agreed upon between civilized nations, aggression. Once that crime is committed the rest follow, a truism established as a principle of international justice at the Nuremberg Tribunals in 1946. And so we must add a further crime to the indictment against the United States and its allies, an aggravating circumstance to the American crimes, the crime of aggression against Syria, the invasion and occupation that led directly lead to the crimes committed in Raqqa. Yet where is the Mechanism? Search as you might I can find no mention of Raqqa, nor of American aggression in their materials, not a word of their crimes in Syria. But many have said this and nothing happens to these criminals. As Canadian Law Professor Michael Mandel wrote in his book How America Gets Away With Murder, the system is rigged in their favour. They control the show and all the levers that control the show. Mandel found that out the hard way when, in 1999, he led our group of lawyers that filed war crimes charges against NATO with Louise Arbour, then the prosecutor of the Yugoslavia tribunal, who refused to do anything against them and instead acted as their agent, and has been rewarded with one position after another, several in the UN system. And “so it goes” as Kurt Vonnegut expressed it in his novel describing what they did to Dresden in the Second World War. And so it goes as their screaming planes sweep low with bombs caressed by taloned wings.